Long before we went to Rajasthan, I was familiar with a Rajasthani song and the famous Rajsthani phrase associated with it that was “Padharomaaredesh”. 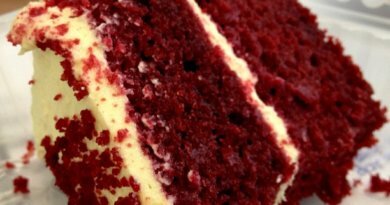 So I was not quite astonished by the same phrase when I heard it from a local person. There was a welcoming smile on his face and we are on the streets of Jaipur. That was the first day of us in the modern capital of the Indian State of Rajasthan, Jaipur. 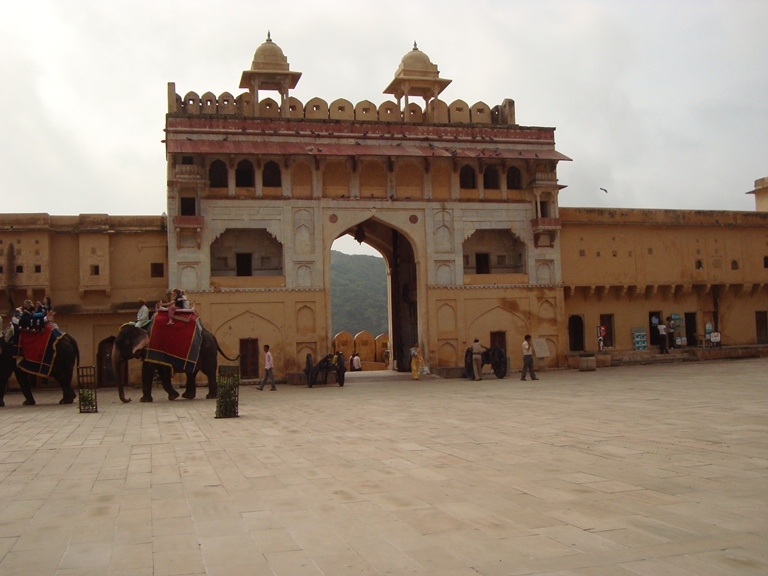 We have decided to visit the famous Amer fort at first. After a short walk around the town, we went back to our hotel and call for a car to take us to the Amer fort. We got out of the car at the bottom of the hill on which the Amer fort is situated. 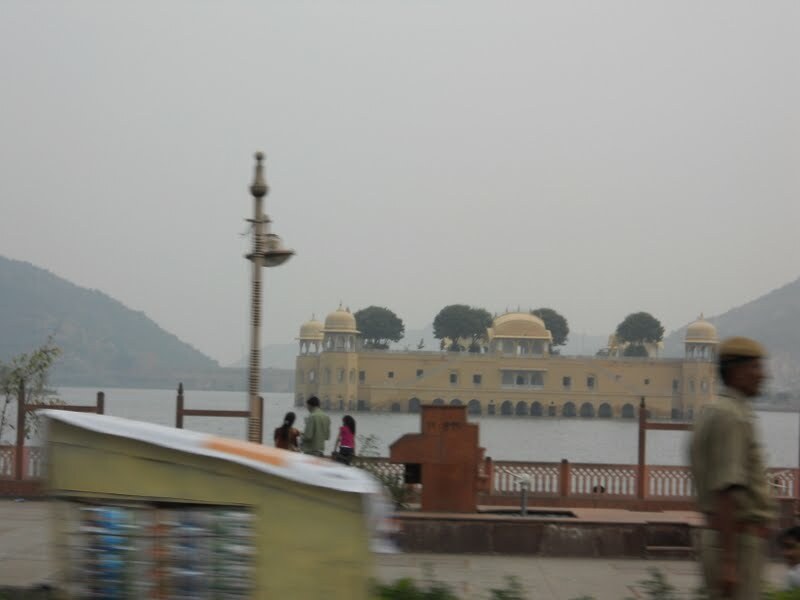 We all praised the rough and unusual beauty of the Aravali Hills and the Maota Lake, the fort overlooks this beautiful lake. There was a striking difference between the beauties of rough Aravali Hills and watery Maota Lake. It takes nearly 10 minutes to reach the top from the base point by foot. But there were famous elephant ride services that will take you to the top. Though we could have felt something special and more royal, however, we have learned from many recent articles about the miserable staying conditions of these elephants, so we preferred walking. We entered the fort through the famous Suraj Pol. The enormous structure astonished us. We purchased tickets from the counter and entered into the fort which was more like a palace. 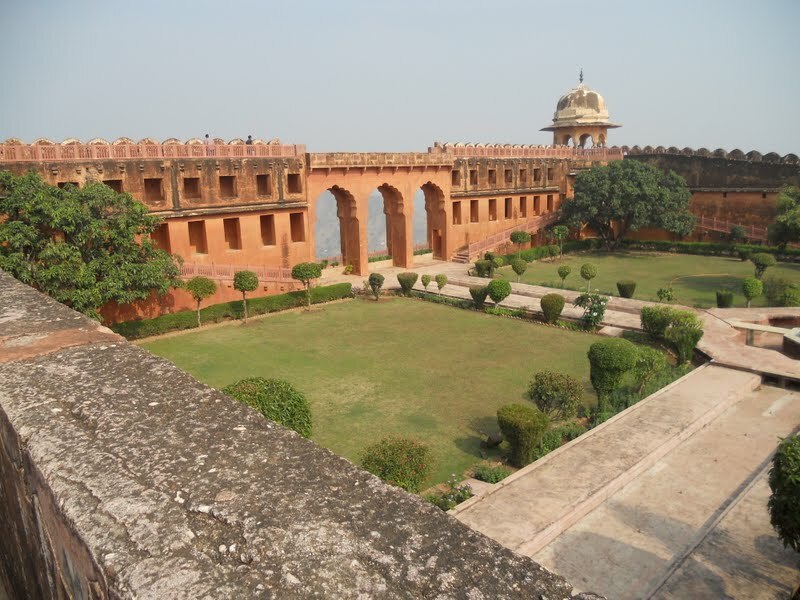 Facts and Figures Located on top of a high hill, Amer fort was built by Raja Man Singh I. Man Singh was the famous and most trusted general of Mughal emperor Akbar. He was also famous for his rivalry with MaharanaPratap which was the prime cause of one of the fiercest battles of India – the battle of Haldighat. 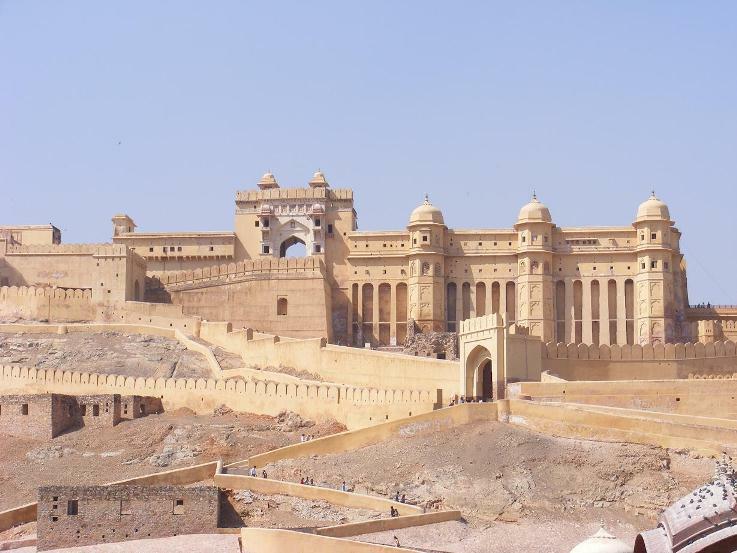 As per the local legends the name of Amer fort was derived from the name of the Goddess Amba- the Goddess worshiped by the local Mina tribe inhabitants of this place. 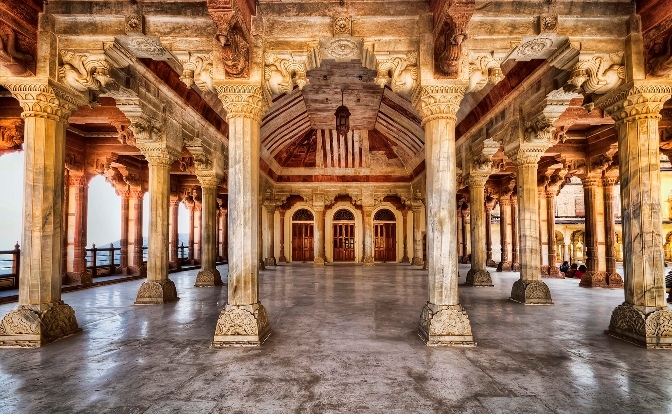 The structure of the Place resembles the famous art of Hindu Rajput. The fort has four quarters each has a separate courtyard. The first part is JalebChowk on which there is the temple of the Goddess Siladevi. Man Singh gained the statue of Siladevi by defeating the King of Bengal Pratapaditya. The second part of the fort is Diwan-i-Am- the house of the common. 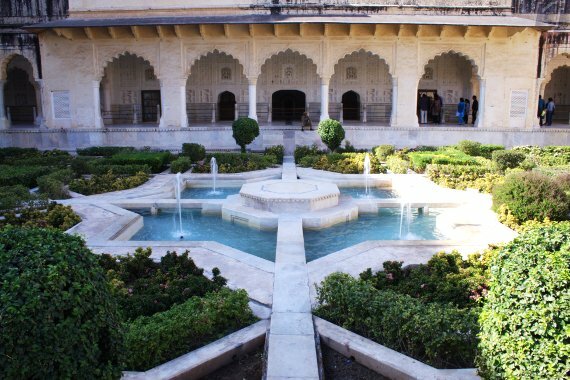 The third part is JalMandir and Sukhniwas; the residence of the kings and queens. The third part can be entered through the famous Ganesh pol. The fourth quarter was restricted for the royal women. 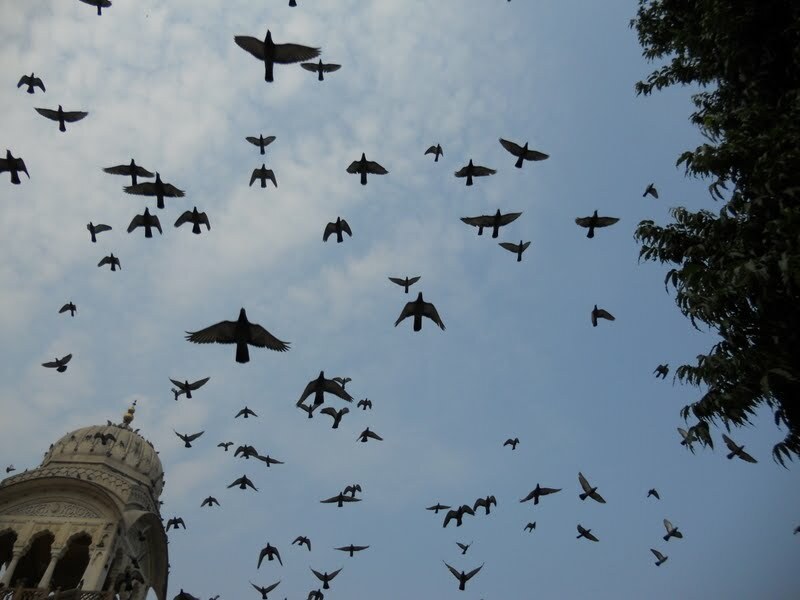 The first thing that blew away our mind was dozens of pigeons who flew around the place. We captured some snaps of those pigeons creating a beautiful silhouette on the background of a dark sky. 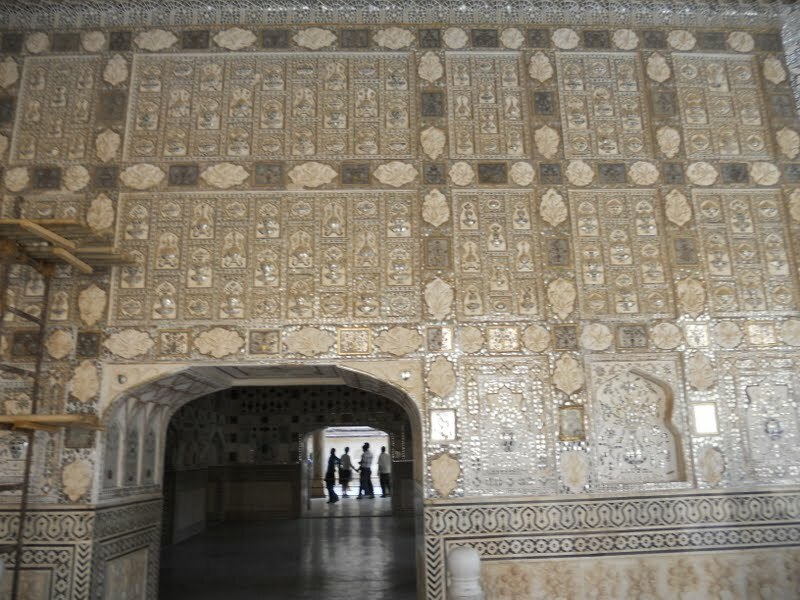 Next part of the palace which we found extremely interesting was the sheesmahal. The beautiful design was created by small pieces of glass creating thousands of reflection of a single object. 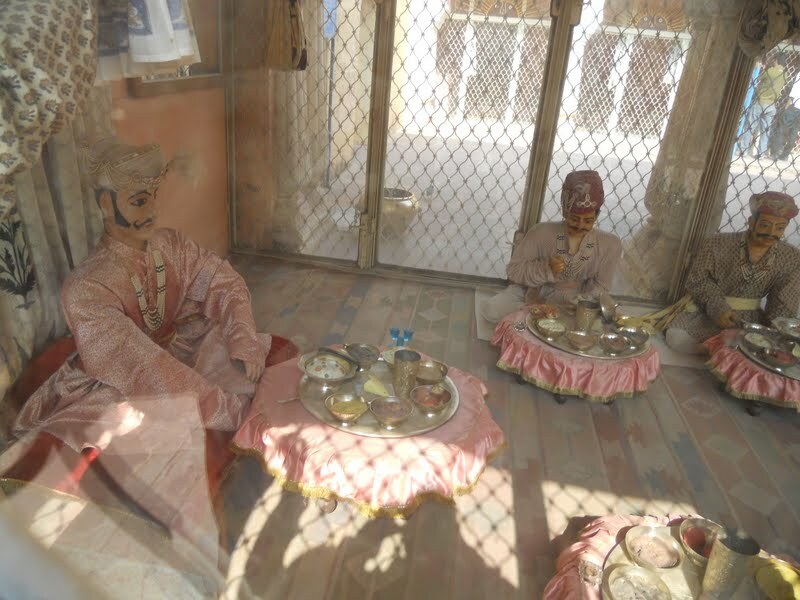 On the top floor of the palace, there was a room which had some models of the ancient kings at the time of dining. 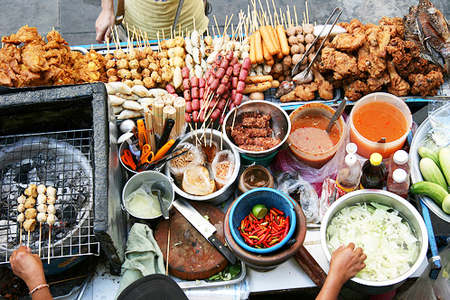 This could give you a flavor of the ancient lifestyle of this place. 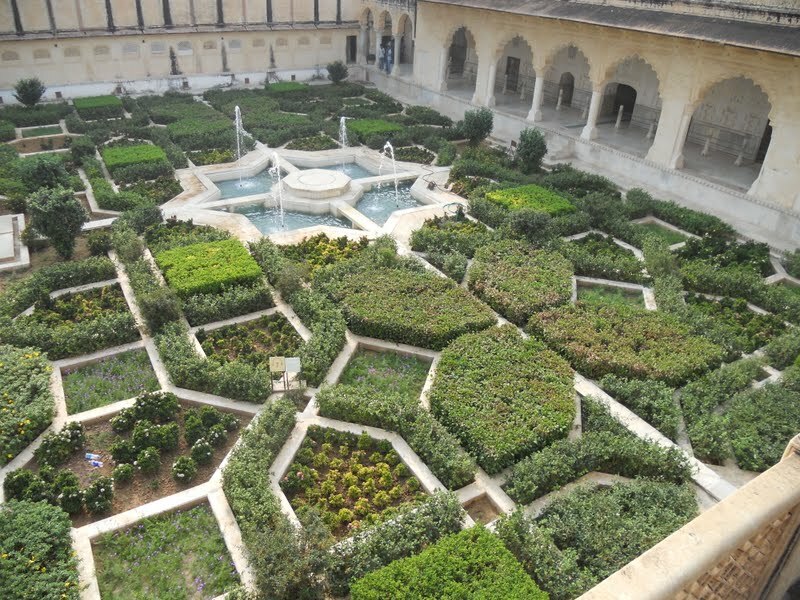 We took some snaps of the beautiful garden from the top of the fort. 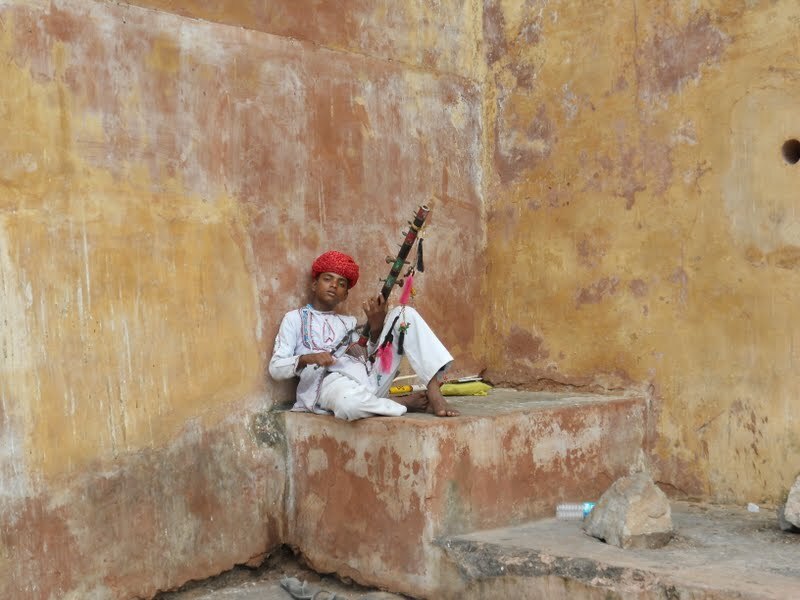 At the time when we were getting down from the fort, we heard a beautiful local folk tune. We followed the music and saw a little boy in his local attire playing a local violin-like instrument. For a while, the present blurred from us and we had traveled back to the glorious past of this fort. Listening to music for 15 minutes we climbed down the fort and returned to our hotel bidding Goodbye to the Amer fort. 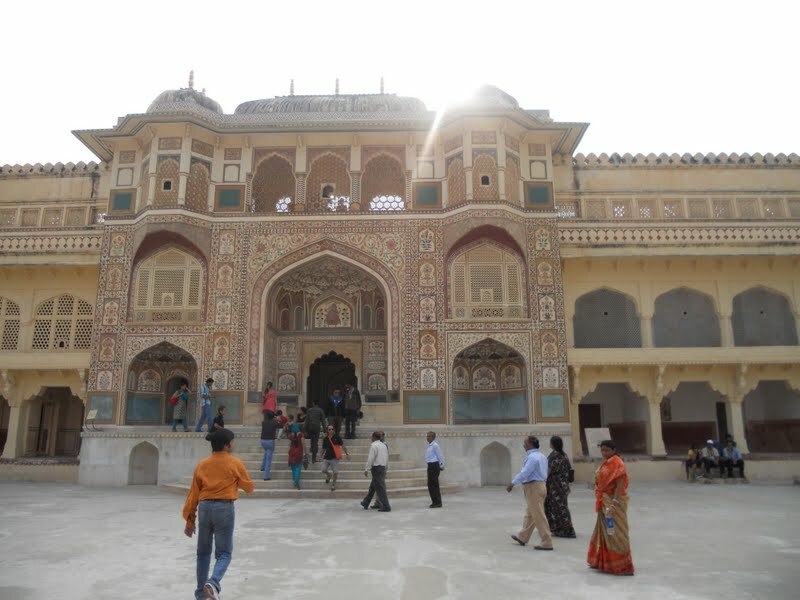 The entry fee to the Amer fort is INR 10 for Indians and INR 50 for foreigners. Camera fee for Indians: Still Camera: 50, Video Camera: 100; for foreigners Still Camera: 70, Video Camera: 150. Elephant ride to the fort charges INR 300 and a guided tour costs INR 100.